Skulls are humanity’s foremost symbol of death, and a powerful icon in the visual vocabularies of cultures all over the globe. Thirteen crystal skulls of apparently ancient origin have been found in parts of Mexico, Central America and South America, comprising one of the most fascinating subjects of 20th Century archaeology. 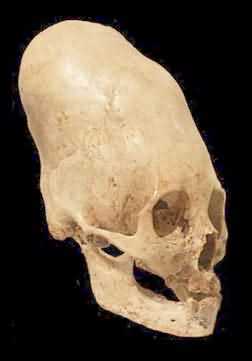 Unusual Paracas skull supposedly deformed by binding the growing head of an infant. The resulting domed head was considered beautiful. Photographed in the Museo Regional de Ica. THE STARCHILD SKULL is a genuine 900-year-old bone skull found in Mexico in the 1930s. 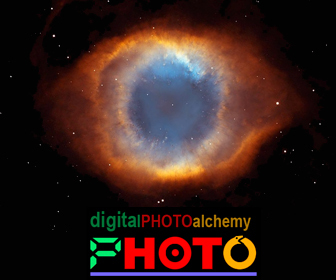 area just behind outer edges of eyes. Bottom: The Starchild’s brain volume, contained inside a cranium the size of a smallish human’s, is 1600 cc. A normal human skull has a brain volume around 1400 cubic centimeters. 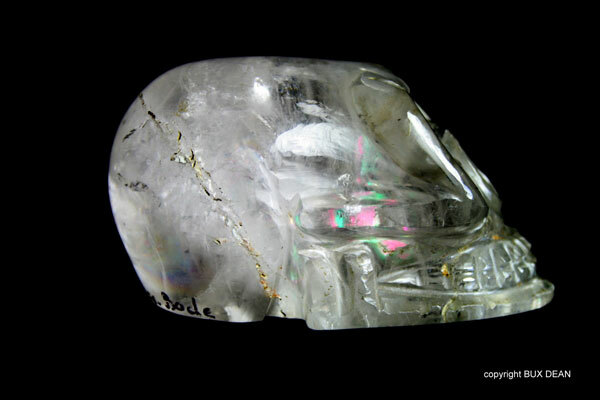 A recntly discovered Crystal Skull that rivals the Mitchell Hedges Skull. Atlantean is what Maya Shaman and elder Hunbatz Men said when he first examined it at the crystal skull conference on 9/9/9. This skull was in a warehouse in Africa for 22 years and then 7 years in storage in an import store. 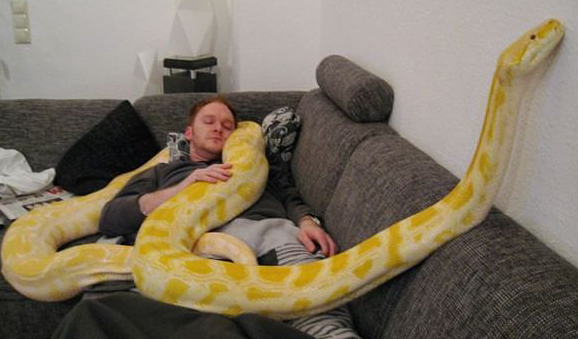 It is human size and it has the removable jaw. It is the same dimensions as the Mitchell Hedges Skull with some added features. 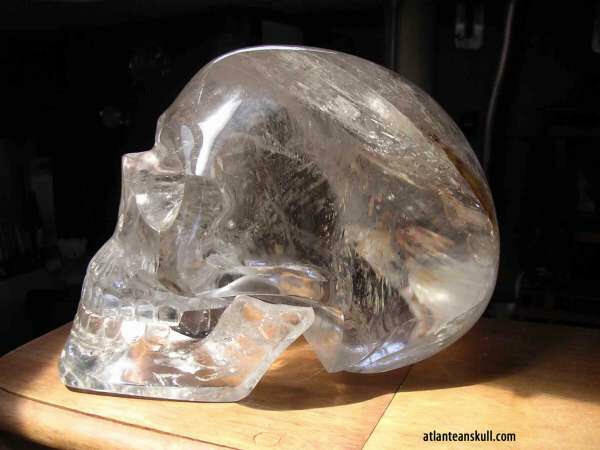 We would like to show this outstanding crystal skull, full of energy and power. If you look at it you see the “whole universe” in it. The head looks very alien and is made out of an piece rock crystal. 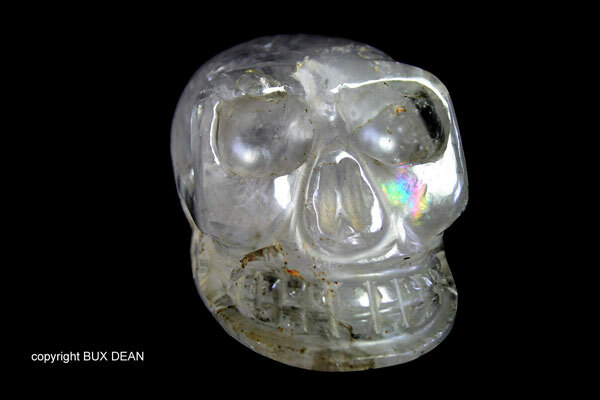 The crystal skull is 7 x 12 x 7 cm. It looks very antique and highest quality handmade. The head was restored in former times. It bears a writing of a collection “Inv. 23.J(T?) 1917 A v Bode”. If somebody could send us further information, that would be very helpful. We people have been here just like we are for MILLIONS of years. There is factual evidence being covered up all the time. Look at certain desert areas where NOTHING but the most hardiest and stubborn weeds and such will grow (ancient weapons) Mentioned in the Bible and other ancient documents (especially from India and a man made bridge recently discovered connecting India with Sri Lanka which is MILLIONS of years old!!) Look at Gunung Padang (material from core drilling reveals 20,000 + years date!!) and the structures found in Russia, just recently. Look at the images of Crater Chains on Mars and Earth (saturation bombing of ourselves and colonies. Look at the report WITH PHOTOS of what was tracked by NASA (two craft, one landed on the moon and NASA scrambled to send 2 rockets within a couple of days, US coming back!!) NO ALIENS!! US!!!! Read more!!! We HAD the technology!! Atlantis, according to Plato was beyond the Pillars of Heracles. Reis Piri map places Antarctica to the west… BEYOND the Pillars of Heracles. Antarctica was covered and frozen when the Earth underwent the cataclysmic wars the people of India documented. Look at the fossil human skull BENT by formation of flint as the skull laid against stone. That takes MILLIONS of years. Occams’ Razor cuts away crap and we’re left with unexplained ancient artifacts WE made and lost due to the cataclysms WE caused!! NO ALIENS!!! WE WERE more intelligent back then, but WE did this to ourselves!! What made me accept the authenticity of the StarChild’s skull as Alien, was the fact that in the skull itself and from the cut of the bone, one can find material identical to the “plastic” that is part of Morgellons’s disease. It makes me think that this creature was from a civilization many centuries ahead of us and that they suffered the same afflictions that we are now experiencing. The dry bone oozes the same liquid excretion and you can see pieces or threads of the plastic still embedded in the skull, look inside! so just because people have imaginations it means aliens? ok so george lucas must have actually experienced all of that star wars stuff, rather than just making it up. people have always had imaginations. if they imagined aliens back than it suddenly means there were aliens. but when we do it today it means creative. i wonder if in 5 thousand years people will be saying we had alien influence. 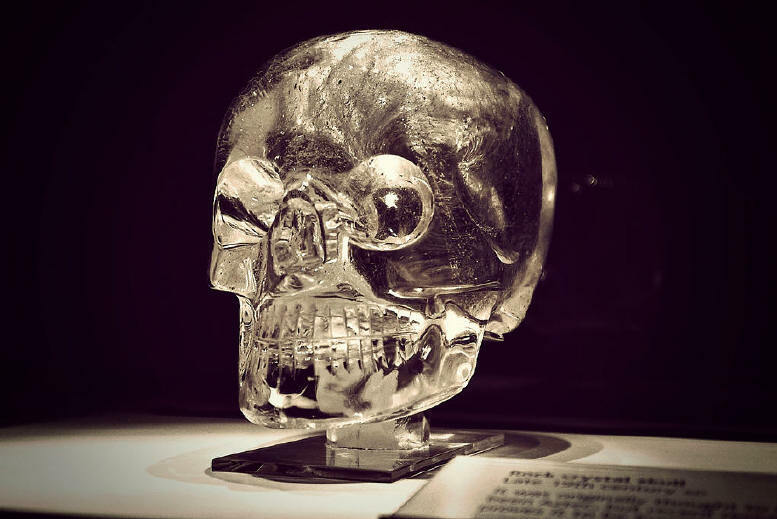 The Berlin crystal skull is not of an alien. It is the facial image of an early primitive human of the type of australipithecus, Java man, ramapithecus, neanderthal, etc. Since the early humans, unable to make fire, did not carve it, we are left with the mystery as to whom was sufficiently evolved at that time to do so. There will be much info. to delight those who seek wisdom, truth and healing! Those Stellar Skulls are amazing!! And the work they do with the Team is beyond amazing, too. I can hardly wait to meet some of them and experience their awesomeness! I can personally vouch for the wisdom, truth and healing I have received through the Skulls and the work they do with the Team. We have a several ancient mysteries lumped together here that may, or may not be related. Grasping at straws as you call it, or putting forth alternative theories is not nearly as retarded as to totally dismiss any possibility that a couple of these may not be totally of Earthly origin. At least not before running extensive DNA testing on the ancient bone skulls. So far the DNA of the Star-child skull, shown in the second photo is looking far from human, nor does it match any known DNA from Earth, However many more tests need to be run before anything conclusive can be said. 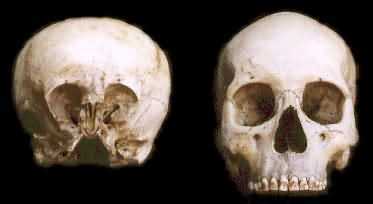 Although there are peoples who have deformed skulls today due to their having been bound tightly while infants, there is no known way to deform a human skull in the manner of the one in the top photo that will give you a cranial volume up to twice that of a normal human, yet many such ancient examples exist, including one who died to young for the deformation to have been done by binding. It seems likely to me that those binding the skulls of their children were trying to look more like those ancients, where ever those ancient examples may have been from. 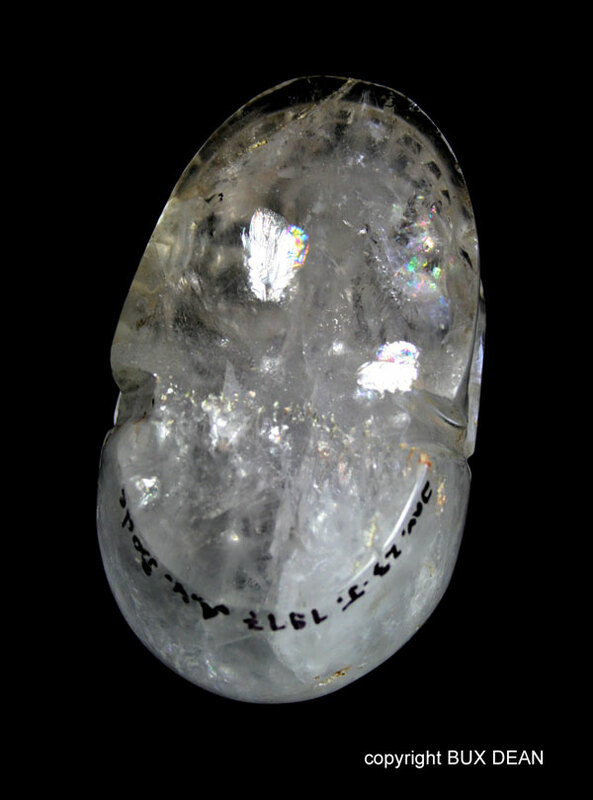 The crystal skulls provide other unanswered questions, such as why were a few of them carved against the grain of the rock rather than with it, even today that would be inviting fractures long before you finish the piece. Well there is a tribe in south america that does something similar except to the head. This bust be done when the child is still young and the skull hasn’t fully formed. Lengths of cloth or rope are used to bind around the head, this is done tighter and tighter progressively over time (like how braces work). This is done for religous reasons. There is one large problem with that theory. When deforming the skull in the manner you describe you still end up with a cranial volume roughly the same as that of any normal modern human skull, or slightly less due to the restriction of the binding. Some of these ancient elongated skulls had a cranial volume up to twice that of a normal human skull. That part can’t be explained away very easily. Can I simply say what a aid to secrah out somebody who really is aware of what theyre talking about on the internet. You positively know learn how to convey a difficulty to light and make it vital. More folks need to read this and perceive this side of the tale. I cant consider youre no more widespread because you certainly have the gift. I absolutely love crystal skulls but can’t help wondering. What if some of them, the ones that appear “alien” are an artist’s mishaps, artwork gone bad? Just something to keep in mind but I honestly think people have been covering up the truth for years. Some of these crystal and bone skulls are authentic, and they do point to origins in the stars. I don’t think they ware mistakes. Think of it it they could made an part of the universe look like inside of it they for sure can make the right sizes. Not only that at that time they didn’t knew that much about the universe aswell. Its clearly not our own creations.